In 1928 the then learned Historical Society erected this monument to the landing of the first white man in Manly, namely Captain Arthur Philip. For some reason the plaque is slightly leaning to the right. 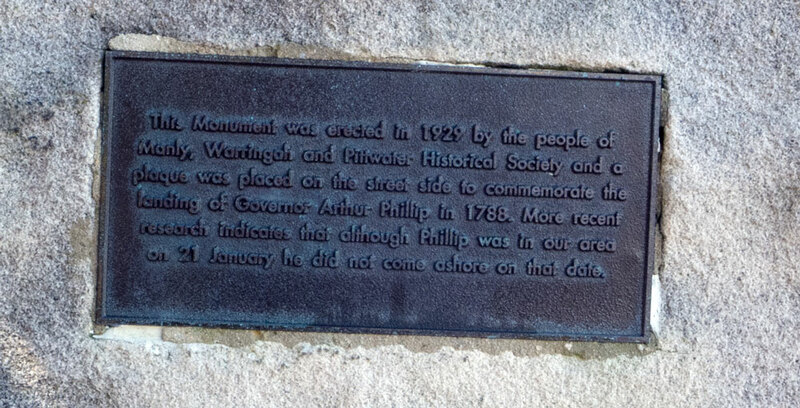 Around the other side of the plinth is another plaque that states that, ooops, the monument was erected in 1929 and that more recent research has shown that he did not land but most likely sailed past. At least they were consistent about one thing, as the second plaque also is slightly leaning to the right. So there we have it. 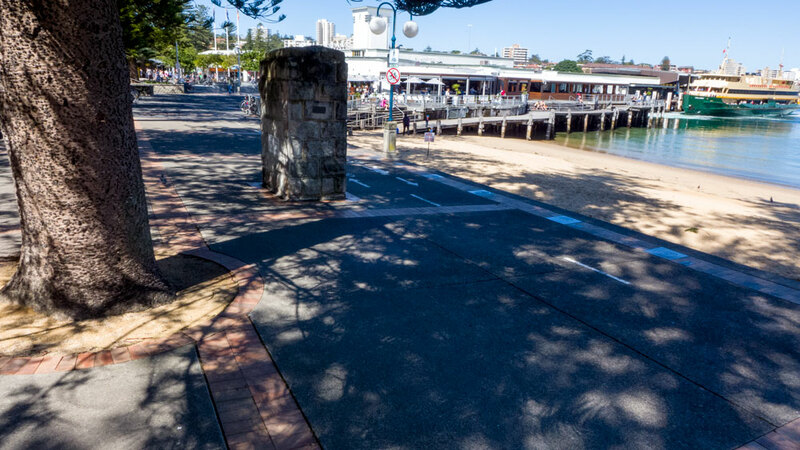 Manly had a stone monument in the middle of the foreshore path that is a monument to something that did not happen. I can think of a list of more monuments to things that did not happen! But wait! There’s more. In 2006 they found a reason for the memorial. 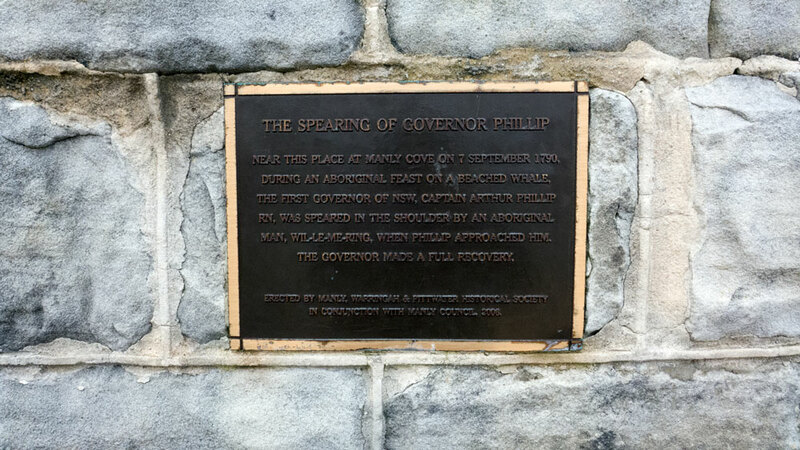 Another plaque was attached to honour that Captain Arthur Phillip came over in September 1790 and was speared. He recovered fully. 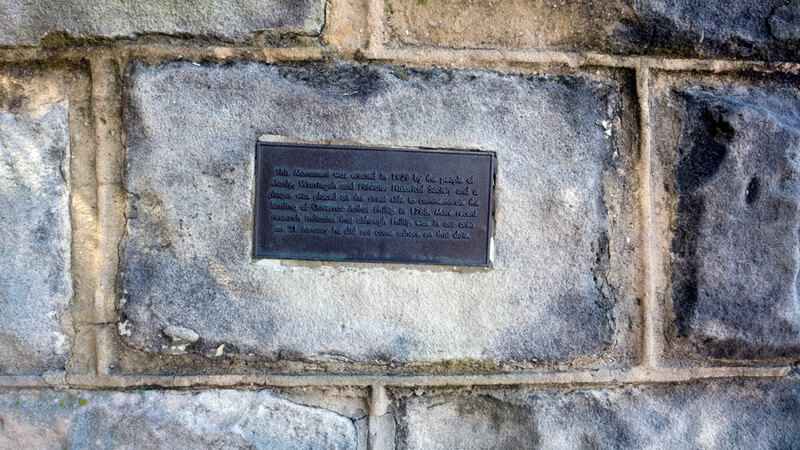 At last Manly has been able to celebrate some event that happened with this memorial plinth.